There are a lot of elements that go into a balanced mathematics program. Beyond a deep understanding of modeled, shared, guided and independent mathematics, teachers need to have a clear understanding of: setting conditions for learning, building classroom community and the effective use of assessment. It's completely fair to say that implementing an effective, balanced mathematics program is impossible without these foundational understandings. Perhaps in much of our sharing as educators, we gloss over some of the steps along the way, assuming that our colleagues and even leaders 'know what we mean' or are completely aware of the work that goes into effective programming. I open with this sentiment because I feel that anyone unfamiliar with the aforementioned concepts and practices should start their journey by exploring these building blocks. As we continue to work through this project, Katarina and I have deepened our understanding of how to effectively use assessment for learning to guide instruction. This isn't something new for Katarina, but the level of intentionality that this project asked for allowed her to refine her thinking. I had the pleasure of learning along with her, co-planning at times and providing an "outside looking in" perspective whenever needed. "It all starts with an assessment for learning, a diagnostic, I did about eight weeks ago" Katarina started our discussion. "I found out that my students, as a whole class, really didn't know how to use place value to read numbers to the right of a decimal; they struggled with tenths and hundredths. The assessment for learning also helped me to find students who hadn't consolidated place value for whole numbers. I knew exactly where I wanted to start my whole group discussion". "My favorite part was all of the a-ha moments students were having around the connections between decimals and fractions!" Katarina explained to me. Katarina formed groups using data from her assessment and observations she made as she circulated to conference and support groups of students as they worked collaboratively to respond to her prompts (we have a nice picture of Katarina's notes, but they include student names so we hope you'll take our word for it!). "I found that I could make appropriate groupings because I know them; I thought about the depth of student responses, and what they demonstrated orally, not just what was being recorded on their pages. Conversations mattered when making my groups." Some other factors Katarina considered when making her groups included the leadership characteristics of group members and their individual work habits. Katarina explained to me that the groupings she made were to be used during mathematics instruction over the next few days. She edited and scaffolded EQAO questions for three of her groups, she had guided instruction and conferencing with a fourth group while a fifth group worked on a number sense mission she had set up in Knowledgehook. Students would only be directed to Knowledgehook once they'd had a chance to participate in guided instruction as these missions were meant to check for student understanding (and could be used to further guide "circling back" in instruction). Katarina summed up her learning to this point as we ended our chat: “I have learned about different ways to approach teaching mathematics and I have been able to move my teaching through involvement in the project. I found ways to take the theories and concepts and apply them in ways that were effective for my students and for my teaching. I've also noticed that students have improved in the processes of reasoning and proving as well as communicating" (we'll aim to be more specific about this quote in our next post!). As a next step, and thanks to an idea I picked up at our most recent TLLP team meeting, I suggested that Katarina consider adding a 'today I learned' component to her mathematics instruction. The idea would be for students to use screencastify to record a response to the very open prompt: 'What did you learn today'. Student responses could be recorded in this manner on a rotating schedule, similar to the way guided instruction is set to work. These recordings could very easily be the content for a dedicated 'topic' in google classroom, but here I am getting ahead of myself, adding more to our "to implement" list! As we come closer and closer to the end of our project we're developing a comfort with balanced mathematics that, admittedly, has been a long time coming. I've also found that our "to try" list continues to grow and is far longer than the school year will allow, which is probably exactly as it should be. On our planning day, ktrogrlic and I spent a lot of time talking about the components of balanced mathematics (modeled, shared, guided, independent) and what balance really means in teaching and in a mathematics program. We talked about how her practice is changing as she continues to participate in this project and about how our shared understanding of effective instruction continues to evolve as we work together sharing and implementing ideas. In Katarina's class, lessons typically start with a concept, question or idea that students are asked to explore collaboratively. Student thinking is shared and the lesson that follows will be in response to the needs that students are demonstrating. Modelling is done as necessary, again, in response to the needs that students demonstrate through discussion. Katarina describes her guided practice as a chance for her to 'push students', whatever that may mean. For example, for students who are struggling with work at the grade 6 level, guided practice would be the support and the 'push' necessary to help close the gaps they've demonstrated. For students who are working at or even beyond the grade 6 level, guided experiences would 'push' student thinking even further. It's always a chance for the teacher to support and guide productive, necessary struggle. Once we had discussed the technical elements of balanced mathematics, we ventured into a conversation around teaching mathematics (and balanced mathematics as it were) as a way of thinking, a way of 'being', and maybe even a way of knowing. If that sounds a little too philosophical for a grade 6 math discussion let me explain! In order to reach our students, we need to truly know them. We need to know them through assessment in order to gauge where their understanding is in relation to curriculum expectations and, more importantly, we need to know who they are in order to reach them with the instruction we are planning. Here our conversation went off on a short tangent about student voice and the power of building relationships with our students, perhaps a great topic for another post. It was, however, during this conversation that we began to think: perhaps a balanced approach to mathematics is also, quite simply, a responsive approach. **Our plans also include exploring the use of Screencastify to support communication and self-assessment which continue to be areas where our students can grow. If we take the time to know our learners and constantly update this knowledge through assessment for learning, our responsibility is to plan instruction that responds to the student needs we're identifying. The components of balanced mathematics provide us with the tools that will make it possible to meet the needs of our students. Knowing when, how and with whom we should be using each of the four components is where our professional judgement comes into play and is done through analyzing our assessments - it's important to note that these assessments go well beyond a pre-assessment we might give and include our observations around a students' abilities and, again, who they are as a people and learners. Think about the math processes; this is where we, as teachers, select the appropriate tools and strategies to solve problems. The tools and strategies are the components of a balanced mathematics program and the problem we are trying to solve is providing the best, most meaningful and effective learning possible for our students. With this metaphor in mind and the components of balanced mathematics alongside the rest of the tools in our toolboxes, we look forward to the next four months of work on this TLLP. Thanks to an invitation from leah.kearney I had the privilege of participating in the OISE Building Futures event on Monday, April 10th. I joined kwalton and her colleague, Yong Lee, from the Upper Grand District School board as experienced educators doing our best to offer perspective and perhaps answer some questions for this year's concurrent teacher education program graduates. Led by stefaniemuhling, our conversations were informal and, where ever possible, driven by authentic questions and wonderings from the teacher candidates. As part of my participation I did my best to explain TeachOntario and demonstrate how the platform could be used as not only an excellent place to find ministry resources and planning tools but also a place to foster collaboration beyond the school level with like-minded educators around the province. The teacher candidates seemed excited to learn about the TeachOntario community and hopefully they'll all be joining us soon. Through my discussions I learned that the next generation of educators in Ontario have the passion and enthusiasm they will need to be successful. They seem to understand that the most important characteristic of a great teacher is a never-ending desire to keep learning; these candidates are comfortable with the vision of teacher as lifelong learner which needs to be embraced by educators today perhaps more than ever. The teacher candidates that I had the pleasure of speaking with also seemed to have the necessary perseverance to be successful in education. Through sharing their stories and practicum experiences, the candidates made it clear to me that they had already dealt with some of the realities that education has to offer. No placement is perfect just as we all know that every role in education has its own unique set of challenges. Despite being surprised by some of the difficulties they faced, those who shared some of their challenges were also undeterred by these experiences - if anything, they seemed to be further motivated by the obstacles they faced which is a mindset that will serve them well in the near future as they start their careers. I was honoured to share my personal experiences with a genuinely interested audience who will hopefully benefit from their discussions with me. I've had a small peek into the future and I look forward to the contributions that these graduates will make to our profession. 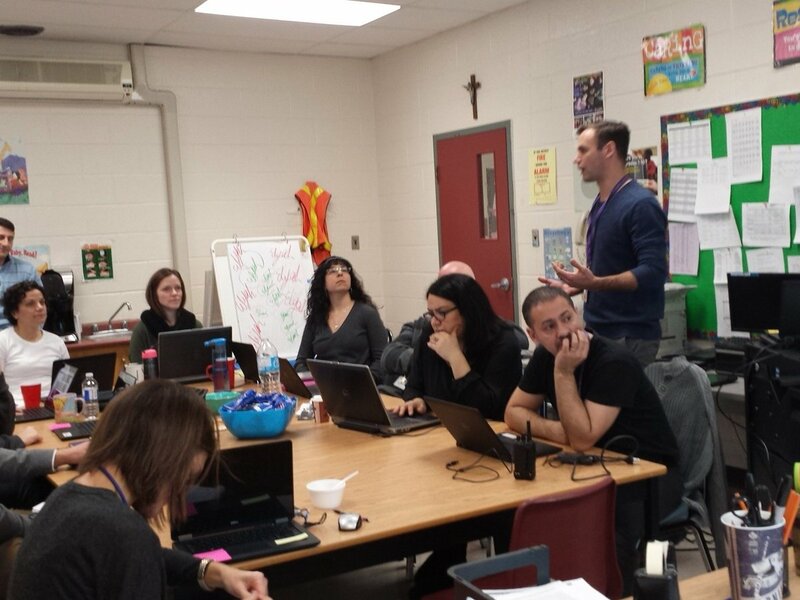 Through the 2015 – 2016 school year I had the pleasure of leading a Teacher Learning and Leadership project at Holy Cross in Malton, Ontario, the school I called home for 10 years. The project is explained in the video loop here: TLLP explained and the work that we shared has been made accessible on TeachOntario and on twitter as well. On November 24th and 25th my colleague Joe Florio and I traveled to the Hilton Meadowvale to participate in the TLLP Sharing the Learning Summit. The summit featured 100 projects proudly displayed and explained by over 200 educators from all over Ontario. With most of the participants coming in from out of town, the summit easily carried a culture of celebration and discussion; teachers almost always appreciate the chance to share the work they’re so passionate about with like-minded colleagues. As things started to come together at our display I realized that taking the time to stop, reflect and share my learning was EXACTLY what I needed before I stepped beyond this great experience and onto new challenges. Summit participants were treated to inspiring talks from previous notable TLLP participants including keynote speaker, Michelle Cordy. We also had the privilege of hearing about how the TLLP is sparking other similar programs internationally and setting the tone for positive change within the profession through shared leadership and genuine teacher-led professional development. Ann Lieberman, Carol Campbell and Anna Yashkina shared the significant research and collaboration that they’re all a part of in this important initiative. Joanne Myers from the Elementary Teachers Federation of Ontario inspired us sharing her stories of success and learning throughout a career where she “woke up every morning to go to work as if she’d won the lottery”. Her passion reached everyone in the room. We were even treated to visits from Minister of Education Mitzie Hunter and Ontario Teacher’s Federation President, Mike Foulds who both gave talks that made us all feel appreciated, important and certainly validated in our efforts for the students of Ontario. Despite the clear value provided by the summit’s guest speakers, the most meaningful discussions and connections happened during the market place sessions where TLLP leaders had the chance to share our projects with each other. The opportunity to strengthen and expand our professional/personal learning networks will lead to continued learning and exposure to different perspectives. Many of the educators we connect with at the summit will serve as sounding boards for our future ideas, co-planners for lessons or an inspirational spark through some work, idea or reflection they’ve shared, typically through social media. Despite the fact that many of us will only have the chance to see one another perhaps once or twice a year, these connections with like-minded professionals, facilitated through digital mediums, can keep us energized and creative at times where our motivation might be at risk of fading. After two days of reflecting and sharing with colleagues I’m recharged and ready to continue doing what I love and supporting the efforts of the many teachers and students I’m so fortunate to work with each day. Beyond that I have new ideas for ways that I can have a positive impact on the teaching profession and, perhaps most importantly, an ever-expanding PLN to learn with and from. Change isn’t easy. In fact, it’s plain old difficult. This year, after 7 years in special education and 11 years at the school where I started my teaching career, I begin a two-year contract as a Special Assignment teacher in the Dufferin Peel Catholic District School Board. I obviously wanted to leave the school where I was working – I had to apply to be hired for a new role – but that doesn’t mean that I didn’t love what I was doing and working with the colleagues that have become my friends over the past decade or so. Why did I leave? Was it for a better commute? No, in fact my new role has me driving a lot more. Was it for a raise? Actually, no, my salary is exactly where it would be if I stayed in my previous role. I applied for and accepted a different role within the DPCDSB because it was time for new challenges, new learning and, hopefully, the opportunity to have a larger, positive impact on my profession. My wife gave birth to our first son on August 13th, 2016. Now there’s a big, beautiful, mind-blowing life change to accompany the change in my career; it’s been an adjustment on all fronts. Going to work in the morning is bitter-sweet because it’s tough to leave my 5-week-old son, even though I’m eager to do an excellent job in my new position. How do I plan on meeting the elevated expectations that these changes in my life and career present? How does any educator handle a simultaneous change in life and career responsibilities? I’ve learned that you need support from the people you care about most. If my wife and family didn’t support my decision to make a change in my career, I simply couldn’t do it. It’s an obvious piece of the puzzle, but it’s essential. It’s important to remember that people close to you will be affected when you make decisions that impact the amount of time you spend on your work. I’m doing my best to balance my new family commitments with my desire to excel in my new role. Sometimes I feel like I am burning the candle at both ends AND here and there I’m also holding the candle over a burning match; the matches are temporary, but they take their toll. Some of us need to be reminded that it’s okay to do nothing once in a while and our family and friends are great candidates for the job. When you’re starting a new role it’s also vital that you find ways to de-stress. It may feel normal to narrow your focus down to only work as you try to wrap your head around your new responsibilities, but ignoring the need to do the things that bring you balance is a mistake. For me that means continuing to be an athlete and showing up for my hockey games, even when I feel like skipping one. De-stressing is different for everyone but whether it’s yoga, long walks, cooking, reading, writing, singing or dancing, doing what makes you who you are is never a bad idea. It’s also probably a good idea to have more than one “go to” when it comes to de-stressing. I think I’m lucky to have reading, music, writing and spending time with my family to go along with my hockey. Professionally it’s a given that you will need to learn, learn, and learn some more when you start a new role (that’s why you need support and a chance to de-stress!). I’ve been fortunate enough to have a great team to work with and a coordinator who has facilitated mentorships and connections throughout the team. The situation will be different for each educator depending on the new role they’re moving into and the amount of support they are receiving from administrators, coordinators, etc. Regardless, it definitely helps to connect with other educators who are in your role. This might mean networking with educators outside of your school or even outside of your board, but it will be worth the effort. It’s almost certain that the first year in a new role will be filled with challenges. No matter how much support we have, how much learning we do and how often we find ways to de-stress, we’re bound to struggle at times. My plan for the tough times is to be patient enough to give myself the time necessary to grow into the role and confident enough to believe that I will, eventually, be great at it. I’d suggest that anyone starting a new role should do the same. What’s your experience with starting a new role? Do you have any advice to give? This content originally posted here: Educators Tell Us – Meaningful professional development designed to match educator interests and needs. Perhaps some of us think that finding a mentor means we need to find a guru who can teach us their wise ways. But, while we can all learn a lot from our more experienced colleagues, we don’t necessarily NEED to find someone with more experience than we have when we’re looking for mentorship. This year, find someone who has a skill set or knowledge base that you think will be helpful to your practice and allow yourself to learn from them. Even more importantly, find a mentor who can help you with methods and approaches that will best serve your learners. Your learning should find its way into your teaching and when that happens your students will ultimately learn more. This one flows pretty easily from the previous idea; of course if we’re all looking for mentors, some of us need to also BE mentors. Similarly, you don’t have to be the Yoda of education to mentor a colleague. If you have strong tech skills, maybe you can support a colleague who isn’t as well-versed as you are. If you have a real handle on inquiry or project based learning, maybe you can work with a colleague looking to get his or her feet wet with the approach. When we are thinking about being a mentor or finding a mentor we simply have to make sure that learning and growth can take place. That’s the beauty of these kinds of arrangements; we often find that the relationship becomes reciprocal almost accidentally. In this way finding a mentor sometimes also equals being a mentor; we all have something to offer each other and that’s really what collaborative relationships are all about. This one is especially important for those of us who are in the same placement for the third, fourth, fifth or fifteenth year. Maybe you feel that you have amazing units that cover the content of your grade level curriculum very well. Maybe you have received compliments on how wonderful your lessons and units have been. If that’s the case, well done! Now, do something new. Even if your lessons seem to have been amazing, let’s remember that every year you are teaching a new group of learners and, almost as importantly, the ways in which you can reach your learners are changing almost daily. Take the brilliant ideas, content and approaches that made your previous units amazing and use them in new and exciting ways that fit the needs of this years’ learners. Technology may play a big role in your innovation, but it doesn’t have to. Again, don’t think of it as scraping lessons that are “still good”, think of it as improving your already-good material to match the needs of your learners. Mentorship requires that in-person touch, so when we talk about finding and being a mentor, we’re thinking about colleagues that you have consistent access to. We all can and should, however, connect with educators who don’t teach at the same location we do. Educators at other schools within your board can be quite helpful but to really get a wider perspective and “learn something new” we might want to consider expanding our professional learning network (PLN) well beyond our board, district and maybe even country. When we open ourselves up to a wide range of experiences, opinions and practices, we gain a greater sense of perspective and can’t help but learn something worth learning. Several communities already exist and we’d like @educatorstellus to be one of the communities you consider being a part of! But, to be fair, you can easily find a number of learning communities on twitter and other social media that will help you begin your perspective-widening journey. So, this one definitely sounds counter-intuitive, but it makes a lot of sense. A lot of books have been written about ‘good teaching’ and related topics. Some are great, some not so much. Regardless, many of us fall into a bit of a trap when it comes to our reading. Professional reading is a must for all of us who wish to improve, but we simply have to read books that nourish the OTHER parts of our identities. When we forget to feed our own interest and curiosity we run the risk of narrowing our creative vision. Ironically, reading about education too much can make us less effective as educators (at least in my opinion). Every novel we read, every biography, every collection of short stories or science-theory text has the potential to impact us as individuals and as educators. When we live our lives as actual ‘life long learners’ we’re a lot more likely to instill this kind of attitude in our students. When we read texts out of sheer interest we expand our knowledge base and build our perspective-taking and critical thinking abilities. When we “do it right” our personal reading can improve us as educators. When we grow as educators we stand a greater chance of reaching our students and helping them to grow as well. What are your plans for professional and personal growth this year? Today I'm trying something that I think is fun and unique, the only problem is for several very intelligent and very creative people this isn't really unique, it’s just necessary. What I'm doing right now is dictating this blog to my laptop and a Google Document is being typed with my voice. I'm not touching my keyboard at all except to make sure I take care of the spacing and make the odd edit here and there. As a special education teacher I see students who have incredible narratives to tell but simply can’t use a paper pencil method to get their stories out. Most often the solution to this kind of problem will be to try to teach a student how to type. Typing is an excellent option and for a lot of students it really really works, the only problem is that for a lot of students it simply doesn't. Students who have learning disabilities that affect their written expression can sometimes overcome that learning disability through typing and I would always encourage teachers to help their students learn how to be proficient with a keyboard. However, there are some really excellent advantages to also having our students work with effective speech-to-text technology. I'm thinking about students who are still developing their typing skills or who are rather young and haven't had an opportunity to become proficiently coordinated with their typing and quite frankly there are always going to be students for whom typing does not make a difference in improving written expression. There will also be students for whom oral expression will always be the best indicator of understanding on any given topic. Right now I've just switched to using my smartphone and this is one of the most incredible features of this kind of technology. In some ways the Google Document is more accurately recording my voice through my smartphone and that's pretty awesome. So we really have to think about the applications of a technology like this. For me this is a little bit awkward and I'm probably not generating my best writing, however, I think we've all found students who were really strong orally and we still haven't had excellent speech-to-text technology to really get an accurate idea of what the students are capable of and really get the narratives that these students have to offer and the understandings that these students have inside of their heads documented. I don't want to make this sound like some kind of plug for Google products because I’m really not endorsing any technology over another. Right now I'm speaking out loud without making any special effort to articulate and this Google Document is picking up almost everything word for word. When I've used Dragon Naturally Speaking in the past students have sometimes become frustrated in the training process and ironically students need to read passages in order to train Dragon to understand them. Now, here's the thing, when we're working with students who have language-based learning disabilities we're quite often dealing with students who have difficulty decoding and of course I don't need to explain how trying to read passages out loud would be a less than ideal way for these students to train a speech-to-text software. My colleague Joe Florio (joeflo) can certainly attest to the frustrations that his SERC students have sometimes experienced trying to train on Dragon. On the other hand, I do think that Dragon Naturally Speaking is a great product and I am in no way critiquing it beyond simply stating the genuine experiences that I have had and that I have seen as an educator. So what's the point of this? did I just feel like dictating into a speech-to-text software? Maybe a little bit! But really this is a lot more than just some kind of blogging stunt. You see, one of the most important things that we can provide for our students is the opportunity to genuinely express themselves. In many ways our stories are the most important things we have. When we can provide our students with user-friendly digital tools that help to bridge the gaps between "traditional learners' (if there is such a thing) and learners with differing abilities (really this is all of us, isn't it? ), we basically have an obligation to do so. In a day and age when we are so focused on student voice and student well-being while simultaneously trying to be precise and meticulous in the data that we collect from our students, we simply have to provide tools like this for students who need it. I think it's also very important to remember that a technology like this is going to be useful for a lot of our students but absolutely necessary for others. There is a large number of students whose capacity to express themselves, tell their stories and show their teachers what they know might hinge on technologies like this. Knowing our Learners through assessment is is an important part of effectively teaching them. When we can find easier ways to incorporate tools that allow our learners to express themselves we will be able to gather more meaningful assessments from all of our students not just those who may actually require some of these accommodations. A final thought that I think is worth mentioning is the question of whether or not tools such as text to speech software are doing more than just replacing paper pencil tasks. When we think about the SAMR model we usually consider replacing paper pencil tasks with digital tasks as simple substitution or augmentation at best but for the student who nearly can't express himself or herself through writing with a pencil perhaps providing text to speech is almost redefining the task because quite frankly when we’re able to bridge the gap for these students we are allowing them to express themselves and create in ways that aren't possible without the digital tool that they are using. I've just taken a moment to look back and read through my entire blog. I noticed that I probably express myself better when typing then I do through dictation but since you're reading this you know that I still decided to post this. Here's the thing: I would have no problem writing this blog with a pen, with a pencil, typing it on my laptop, or dictating it into a speech-to-text device. However, with tools like the one I'm using right now this blog could still be written and I could still tell my story, even if something kept me from being able to effectively “write it down”. What's the Greatest Edtech Tool? For a little over 14 months, I've spent more time than I'd like to admit scouring the internet (with a heavy focus on twitter) looking for great edtech ideas and tools. I've been reading articles from well-known and followed 'gurus' and many lesser-known yet often equally insightful educators. I've learned a lot; through my TLLP I've been given the chance to lead a team of educators who are willing to take risks and who are comfortable trying approaches where success isn't guaranteed. Though there is one more feedback survey to be done, so far the responses from the team and the observations I've had the chance to make would suggest that we've all grown as professionals and as leaders thanks to this project. As we've moved along from October to May, I've supported team member with various resources and through asynchronous collaboration right here on TeachOntario and through our team OneNote. I've thrown far too many emails with resources and ideas at the team hoping that someone might find what I'd sent useful for their classroom; most of the time I was at least partially correct. Team members gladly accepted the challenges and opportunities that their participation in the TLLP (and my personal vision for it) presented. Perhaps the best part of the project was that team members provided their own half-day professional development sessions for two of their colleagues and since then have made themselves available as technology mentors/coaches to those colleagues. All told, the project has helped to directly improve professional capacity with technology for 30 teachers and two administrators and, even more importantly, helped change the school's overall culture around collaboration and technology for the better. Through my scouring and the team's implementation, I've had the pleasure of learning and, more importantly, USING edtech tools that allow students to collaborate and express themselves in ways that might not be possible without the given digital tool. Ultimately, the implementation of any digital tool that I have now learned relies on the simple fact that I HAVE learned it. That is, I can reap the benefits of, Nearpod, for example, because I've been able to create with it and, in that way, can empathize with my learner while supporting their use of the tool. Even if I'm of the mindset that a high level of free exploration will benefit my students, I need to be proficient enough to troubleshoot and support those reluctant learners who simply won't 'jump in' and every classroom has at the very least a few of them. I wrote about this topic in a previous post where I did my best to promote the authentic, creative use of digital tools by educators as a prerequisite for effective classroom implementation. By now you've figured out that I am not going to point out the 'greatest edtech tool" per se; I think several of them are great and, yes, I do have some favourites including Explain Everything, Padlet, OneNote, and Nearpod, but any tool or group of tools that I point out would be limited and based on my personal preferences and biases. What I can say with confidence and total objectivity is that YOU, my reader, as part of your organization's culture have the potential to be the 'greatest edtech tool' possible. What has made Effective Teaching and Learning in the Digital Age - @HCTLLP such an enjoyable and, hopefully, effective endeavour has been the culture of learning that we have successfully created, at first for the team of 12 educators we started with and then, progressively, as influencers for our colleagues in the school. We've even been successful in encouraging, promoting and modelling the effective use of digital tools to our school board peers through our consistent sharing on twitter. So, ironically, the greatest edtech tool isn't available on your tablet, smartphone, laptop or desktop. The greatest edtech tool is informed, inspired teacher leadership complemented by a culture of collaboration and risk taking. It's not about the technology, it's about the people and their commitment to meaningful learning. In mid February, after watching a video called 'The Voice of the Active Learner' during a presentation from the DPCDSB technology coaches, I put together a Zaption designed to find out how educators feel about the rapidly evolving world of digital learning. I specifically wanted to get honest opinions and responses from educators about the concept of the 'digital native' and how we can improve or, at the very least, alter some of our teaching methods to support the context that today's students are coming from. The original video is at the link below. You can submit your own responses at the link just below the video link. Despite sharing this content frequently, over several networks, I only had 22 respondents. Even so, there are some interesting results that are worth discussing here. Question 1 - When you hear about a "digital native" what do you REALLY think, be honest! For this question, respondents chose either A, C or D with the overwhelming majority choosing D. In this case, D was a response that suggested that teachers believed using technology could improve their teaching and, of course, their students' learning. The actual wording of response D, in case you didn't watch the video, was: It makes sense; When used properly, the tools we have now can make lifelong learning MORE possible than ever. For this one, though I'm sure the answers were honest, I feel that respondents could easily determine that this was the 'best' answer; it's not tough to agree with the sentiment in this choice. Question 2 listed several quotes, asked educators to select one and then asked them to "explain how you think and feel about it. Explain how the idea you've chosen will impact your teaching practice and professional development". A balance is needed in learning going forward. Technology is out there and as I type this and you receive it and you read it, technology has already advanced and there is something new ready for someone to use. The balance is the teacher. Good teaching pedagogy is key to any new innovation and at the heart of moving learning forward is knowing the learner. The video is all about student voice!..The student is letting us; the teacher know what they are all about and how they learn and it is good teaching strategies that will move that student forward. "To learn I look online..." Completely true. But I see students who are indeed connected, but are not literate in what they are interacting with. They don't know how to filter any searches they see (and I'm not talking Boolean - just seeing a response and knowing that perhaps it's an academic journal or it's relating to a synonym of their search or it's from the wrong country...) We don't yet seem to have a curriculum to learn the neighbourhood of searches and how to efficiently navigate or determine what's accurate out there. I hear, "But it says that so I'm writing it down," way too much. I agree more with the second option. As a resident of rural Northern Ontario, we have relied on online digital courses. As teachers, we need to develop capacity for making these courses rich and relevant. I definitely agree that the educator is THE MOST IMPORTANT tool in the classroom (I will be writing a post on this topic soon!) as stated here. I also see, from these responses, that we need to teach our students the basics when it comes to technology. For some reason many educators seem to believe that students already know how to use pretty much any technology; while this is sometimes true, it is often very far from the truth. We are still obliged to learn how to effectively use digital tools and make sure that we are proficient with whatever tool we expect our students to use. Again, the assumption that students "already know" will lead to the perpetuation of misunderstandings and ineffective use of technology. Question 3 - What are your final thoughts about the challenge your future student (the narrator) poses for you? What are you looking forward to in the years to come? What are some limitations you expect to face? Again, be as honest as you can be! The biggest challenge will be to keep up with the technology and to insure that all students have equal access, regardless of socio economic status. I'm wondering how much knowledge will my future students be coming in with...from some of the experiences I've had in my classroom to date, students don't know as much as we think they know. The common assumption that kids know more about computers/ipads etc than their parents, and at an earlier age, is not always the case. Most students are familiar with these devices but have been introduced to them because that's the current form of entertainment - a babysitter for parents...(these are very general statements...I know) Students need to understand the power these devices hold and how they can assist with their learning. Although students are digital natives there are some basics that they don't understand or do and because they think they are so tech savvy they are not willing to listen to suggestions. Since information is so readily available, students are overloaded and don't necessarily have the skills to sort through the vast amounts of information. We need to guide them through the process and ensure that they become critical thinkers. Our schools are not equipped with enough technology and we need to move to BYOD and embrace. Having enough technology or the funding for improvements in resources seems to be a common thread and one that I'd agree makes sense. It was also clear that educators felt that we have no choice but to be able to 'beat students at their own game' so to speak in order to avoid the situation where students feel that they don't need to learn or, worse yet, that their teacher simply doesn't know what he or she "is doing" with the technology. While a co-learning stance is ideal and we definitely want to learn with, and often FROM, our students, we also have to "do our homework" and be proficient enough with the tools to determine whether or not students really do "know what they think they know". The responses I received, though varied, allowed me to see the commonalities that Ontario educators have when it comes to our opinions on digital learning. It would seem that we agree on the idea that effective implementation of technology can lead to better student outcomes if and when WE are effective in using the tools. Along those lines, we acknowledge the need for great professional development and have our concerns around both accessibility of technology in our schools (BYOD doesn't seem to fill all of the gaps) and effective mentorships (several respondents mentioned that they felt they hadn't received enough guidance for implementing tools in practical ways). In addition, 'the students already know how to use it' philosophy seems to be rather thoroughly dismissed by respondents. Although I would have loved to have a much larger sample size, I'm happy to have found some validation for my own opinions, along with some nuanced perspectives to broaden my thinking - thanks very much to all respondents! 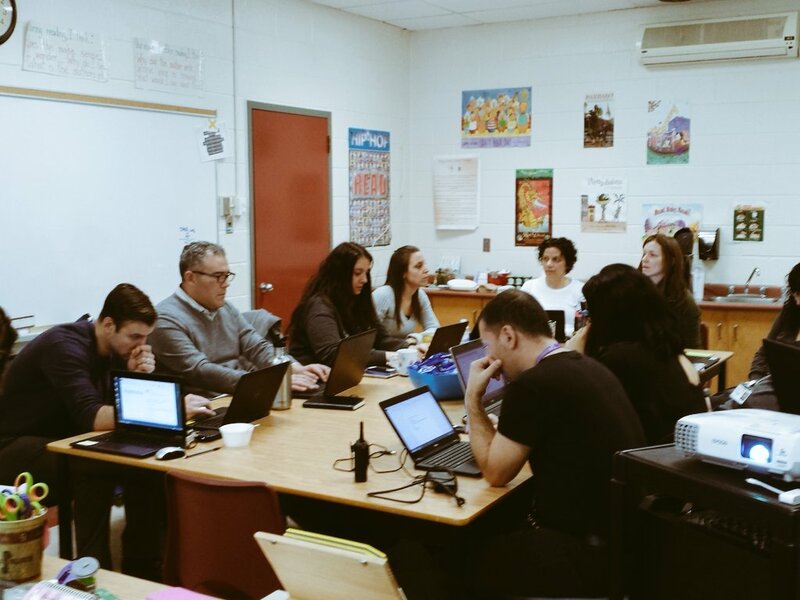 On February 16, our TLLP team had our long-awaited second meeting. Up to this point we'd been collaborating through informal discussions and meetings, through twitter and right here, on Teach Ontario. At our second meeting, tweeting and texting wasn't going to be enough; each team member had about 15 minutes to explain how they'd effectively incorporated a digital tool into their teaching practice. Prior to team presentations, I led the group through discussion around leadership and what our mentorship might look like. I've included the John C Maxwell video that I used a portion of in our group and you can view thepadlets that we used for collaboration here: Why Should we Implement technology and why should we share our learning?Thoughts on Mentorship. What will our mentorship look like? . My goal was to provide something that resembled professional development for the team with a focus on making the transition from learners to 'leaders who learn'. We even participated in a few self-knowledge quizzes, the idea being that if you don't understand yourself, you most certainly won't be able to lead others. Based on the feedback I've received, it seems that my portion of the day went well. our own accounts. kasiamoroniewicz, gave us some insight on how the role-playing nature of Prodigyhttps://www.prodigygame.com/effectively gamifies the reinforcement of mathematics skills in her classroom. annamaria, explained how Socrative has been an effective tool for assessment for learning, assessment as learning and assessment of learning with her grade 4 class. leonora.scarpino-inglese@dpcdsb.org, and joeflo, told us all about the many ways they've used Seesaw in their teaching practice, especially to support diverse learners. jpaulsartell gave us a crash course in using Nearpod effectively and demonstrated how it's worked well with his students. daianasantin shared the multiple features of a personal favourite of mine, Explain Everything and how she's been able to cater its use to a primary classroom. anistellato talked about 'The Hour of Code' as a concept that all educators should consider supporting and proceeded to walk us through some engaging and useful activities at hourofcode. com . 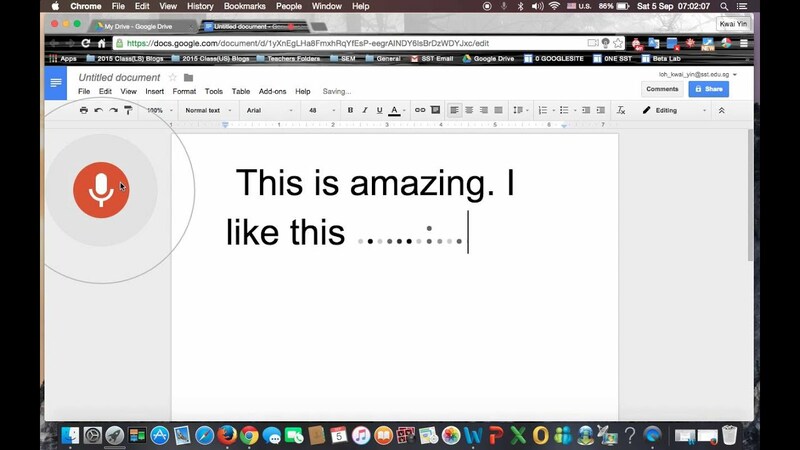 Finally, francisco demonstrated the ways in which Adobe Voice can be used to help students tell their stories in a more engaging and effective way. I'm proud to say that our second meeting was even more of a success than I anticipated. Team members continue to learn from each other; every member has contributed to the collaborative and supportive approach that has made the project a success so far. I think it's also exciting to note that many of the tools that we've learned are outside of the great Microsoft Office 365 tools that we are using as part of our school board's suite of applications. Team members have become unofficial leaders around the school in using these tools as well, which speaks to the great work and the amount of learning that members of @HCTLLPhave done. Our mentorship days were also very successful, in fact, they need a post of their own! From February 21 to 26, I was one of 70 educators who attended the Teacher's Institute on Canadian Parliamentary Democracy, hosted by the Library of Parliament. Hopeful attendees had to be accepted through an application process and, if selected, spent a week in Ottawa engaging in excellent professional development sessions led by the Education Outreach Department of the Library of Parliament and a range of Parliamentary professionals. The schedule in Ottawa was busier than many of my colleagues might have expected. I typically responded to the " did you enjoy your vacation?" banter by explaining that our schedule had us on the Library of Parliament's time for 10 to 14 hours each day. The busy days, however, were well worth it. As part of the process, my team leader asked that we document our thinking and 'take aways'. What follows started as an email to my team leader; I have since made some minor changes, added the visuals and links, but the core of this blog was written in room 205 at the Lord Elgin Hotel in Ottawa, Ontario on February 25th, 2016 at around 6:30 pm. When I first decided to apply to the Teacher's Institute, my goal - if I was accepted - was to bring back as much practical, useful learning as possible for my school, my colleagues and myself. In the last several years my interest in Canadian politics has grown and I have re-kindled a passion for politics that I also had while I completed my minor in Political Science at the University of Toronto: my personal interest in Parliament and politics was just as strong as my desire to get some valuable professional development. I was very excited when I learned that I had been accepted to attend this year's institute. Over the course of the week, I have found that the education outreach team for the library of Parliament has been working on modernizing the materials and resources that they offer to support teachers. I plan on showing my colleagues that this is happening by presenting the websites that were shown to us to interested teachers. I'll be provided with a few minutes at a staff meeting to explain that I am available to staff who would like to go over resources from the Library of Parliament; I'll also send out an email with links. I plan on also making a point of visiting our grade 5 teachers as well as our grade 6 - 8 teachers (grades where government is specifically in the curriculum) to show them the excellent ways that they can engage their students with the resources that I have now learned more about. In particular, I think I will show our grade 5 teacher "Bill on the Hill" and possibly show the intermediate teachers the "Setting the Agenda" online activity to support their learning, or prior to our trip to Ottawa. I can also, of course, show our staff the "searching for symbols" resource which may be useful in a very broad context. Perhaps even more importantly, the experiences that I have had and the insights that I have gained will provide me with the tools to, hopefully, clear away some misinformation and misunderstanding that I have actually seen amongst my peers. It's one thing to bring resources and activities to teachers - and I am glad that I will be able to do that - but it's quite another thing to work on changing minds. I hope to explain to my colleagues, again, why it is worth their time to understand and appreciate the parliamentary democracy that we are so lucky to have; too many of my colleagues told me directly that they didn't vote because it "doesn't matter" or they simply "don't know anything about politics" - if we, as educators, believe that this kind of thinking is okay, how can we possibly hope to influence and guide our students in ways that lead them to a life where they are responsible citizens who contribute to our society? I hope that I can convey to my colleagues that there are a lot of similarities when we consider perception versus reality for both teachers and MPs, Senators, etc. To be a good educator, you have to be committed and dedicated to your class. You have to work hard to meet the needs of your students and you are FAR more busy than anyone in the general public knows or will give you credit for. To be a good MP, you have to be committed and dedicated to your constituents as well as your country and political party. A good MP has to meet the needs of the people in his or her riding and is ALWAYS busy, though some members of the general public tend to believe that MPs aren't doing very much besides living large off of public money. Another significant similarity that I've noticed is that MPs and other parliamentarians seem to agree that the way Parliamentary democracy is conducted and shared with citizens is in need of modernization; a large part of this process is developing useful tools for collaboration. I don't think that any educator can say that they aren't painfully aware of this same trend within education.We are constantly looking at ways to improve student voice through collaboration tools and many of us spend a lot of our time in efforts to modernize our practice (effective implementation of technology is likely the phrase we are used to). Understanding and presenting these connections might be a great start to get some of my colleagues on board - again, the point being that if we don't understand the value of our Parliamentary democracy, there is NO WAY that we can teach it well. If I share these resources with teachers who haven't yet "changed their minds", it won't really matter. I'd like to think that this blog is a great starting point as I continue my work in telling the story of #TIFE16. Over my Christmas break, while I was trying to focus on other things (with limited success), I started to think about the idea of authenticity within leadership. I started to pay close attention to much of what I was seeing posted online, particularly on twitter, by 'leaders in education' and I couldn't help but feel some disappointment. You see, without sounding overly critical, I got this feeling that many of the gurus out there in cyberspace (some of whom I have had real-life interactions with) might have authenticity issues. Here's the thing, our current (very useful) culture of positive thinking looks down on anything that resembles "negativity", however, if we're thinking critically, we can't simply accept everything that is thrown our way; this connects perfectly to the kind of digital literacy that we have to teach our students: beware of disingenuous individuals; don't "buy everything that popular people are selling" just because they happen to be popular and ALWAYS, ALWAYS think for yourself. Now, as ironic as it may sound, within education I'm finding a number of individuals whose leadership and influence simply wouldn't stand up to the kind of analysis I've described here; I'm seeing this as a phenomenon that applies to the leadership (not only admin or beyond) within our profession at large. So, what exactly am I trying to say? First and foremost, whether it's in person or online, those who have decided to influence others, those who have decided, even if only through accepting a particular position, to LEAD are obliged to earn the respect and TRUST of those they'd hope to lead. Leadership is difficult - I will certainly concede that! - But the very first step, and quite possibly the most important step, in leadership is to earn the trust of those you'd like to positively influence. My biggest concern while following tweets and other social media posts from "leaders in education" stems from question three. I find myself wondering if the gurus always "mean what they say", not because I don't think they are experts, but because it often seems that they aren't taking the time to evaluate what they post or think thoroughly about the quality and/or standpoint that they are sharing, retweeting, etc. I'm also not a fan of the "retweet is not an endorsement" disclaimer that has found its way into several profiles. Read everything you post THOROUGHLY! Have you ever had a friend share one of those misinformed Facebook posts? You know, the ones that attack not-for-profits and charities with made up statistics for example? Leaders can't make the mistake of posting misinformation: either your reputation will suffer or those who follow your lead will be misinformed - neither option has a good outcome for you or the profession. Respond when people interact with you! Heaven forbid that a like-minded professional tries to make contact with you OVER SOCIAL MEDIA! It makes sense that influencers with large followings might have to be very economical with their 'reply time', but I don't think that gives anyone license to be that "sorry, too many followers, too important" person. Even 'liking' a reply or comment might be enough acknowledgement for someone trying to interact with you. It often seems that some gurus are just sitting there at a desk hammering the share button at a few websites of choice, maybe a couple of days a week - this is probably not the best example of digital leadership. We don't have to be glued to our smartphones or tablets, but mobilization of knowledge is exactly where our society, and education in general, is heading; those who seek to lead and influence the profession should model this reality (within reason, of course). I don't mean tweet a picture of your family dinner here (though you certainly can!). I just mean that influencers would do well to create some content that is relevant to their role rather than ONLY sharing the great thinking of others (the value of which I am not dismissing). 'Your own content' could include a broad range of items including blogs, photos, musings, lesson plans, and any other relevant, shareable content. Most influencers do a fairly decent job on this one. To sum up, we all have the capacity to influence our profession and the digital tools that we have access to provide us with a forum to reach an audience of educators who are willing to listen and be influenced. If our colleagues are listening to us, we better make sure that we're genuine and authentic. Those of us who are in a position to lead (which is arguably all of us!) should work at earning the trust of the professionals we may have influence over and these four pointers provide some influence that I hope will be helpful.